If you're here for the Blog Tour - the Tour Stop will go live at 6pmEST/3pmPST. Once it does you can link to it using InLinkz. See you there later! This week meet Kathy — she had a great idea and her whole package recently followed one color theme - red, white, and blue! Perfect for this weekend's inspiration! So, I'm Kathy, and I have no blog, no link - no personal computer. I'm a dinosaur who writes letters! I started stamping about 30 years ago when my younger sister sent me my first rubber stamp & stamp pad. 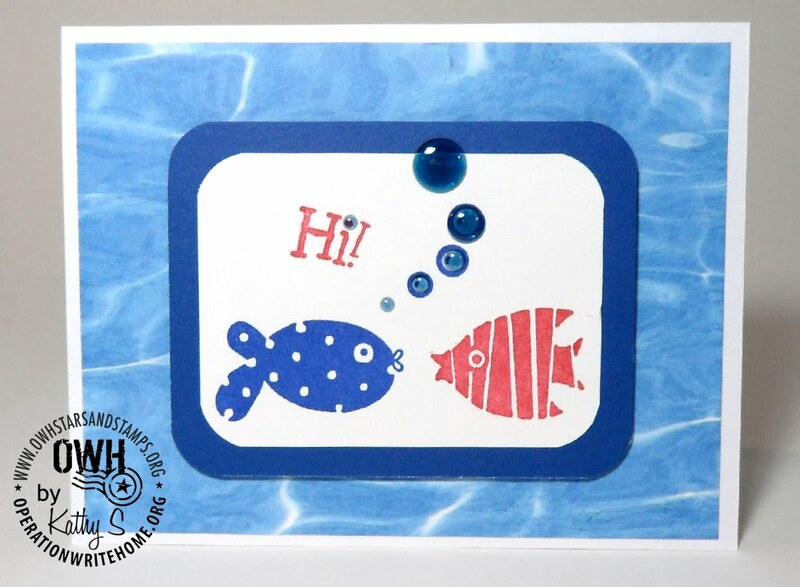 My cardmaking began about 6 years ago after I attended some Stampin' Up workshops. Unfortunately, no craft room. I do stamping, embossing and punching at my kitchen counter. Coloring, cutting, assembling & embellishing I do sitting in front of the TV using a lap desk. Storage is anywhere I can find some space in my tiny apartment. 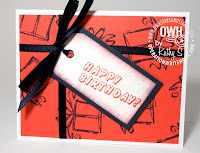 I love acrylic stamps - easy to use & store. Inkadinkado's "Kid Quotes" stamps are a new favorite. 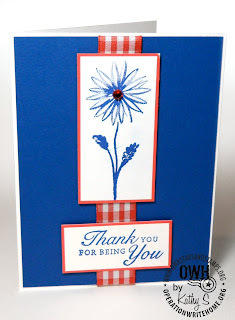 I find it hard to resist almost anything floral whether stamps, papers or embellishments. My favorite embellishments are anything that's self-adhesive. I enjoy trying different techniques, but generally keep my cards basic & simple. Love any & all colors depending on the theme or season. I particularly loved your red, white & blue theme. 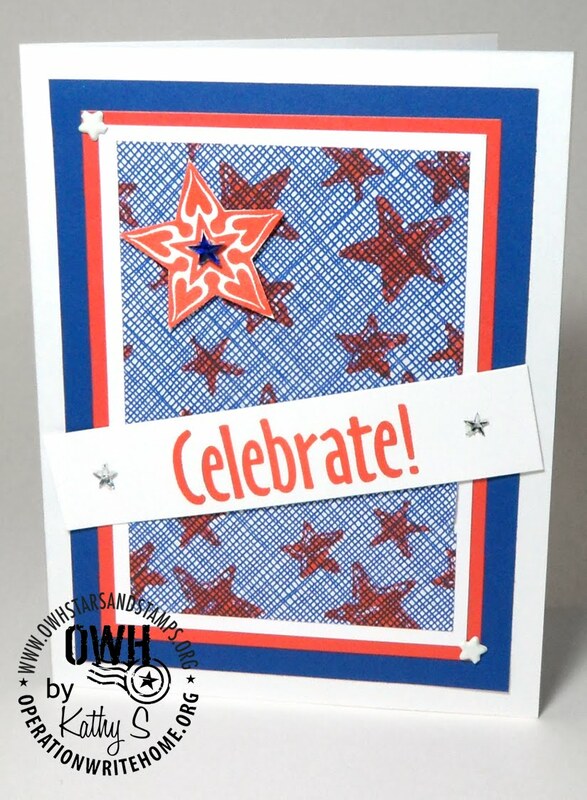 The simplicity of the colors inspired me to come up with more & more ideas - I had a hard time stopping so I could get them into the mail for the July 4th holiday deadline. 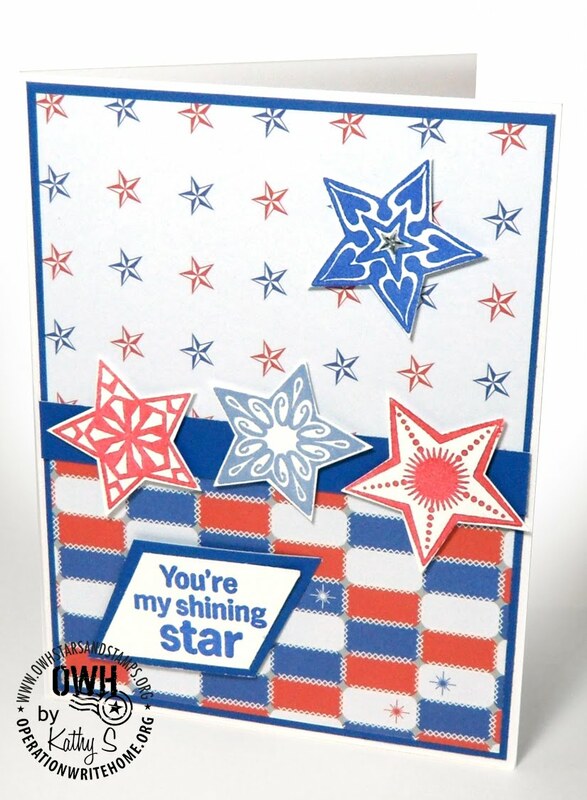 I heard about you in CardMaker's Readers Reach Out feature on Cards for Heroes. President Obama's inauguration speech inspired me to choose CFH as my "reach out" project. Now it's largely selfish. I felt so great when I dropped off my first package at the post office! And that feeling continues. In addition, I think anyone who's read any of the messages on the Hero Blog would be inspired to contribute in any way they could. I feel as if I'm truly contributing and it's a wonderful way to feel. So, thank you, OWH! Wow, what an inspiring post! Kathy, to be honest I am in awe of you! In a time when we rely so much on computers and all sorts of gadgets, you have showed the world that it can still be done without those things. Your cards are WONDERFUL! At first I found myself always saying "I wish I had this" or "I wish I had that"...I stopped doing that one day and said, "Hey, I'm just gonna use what I got until I can get a chance to get more later." 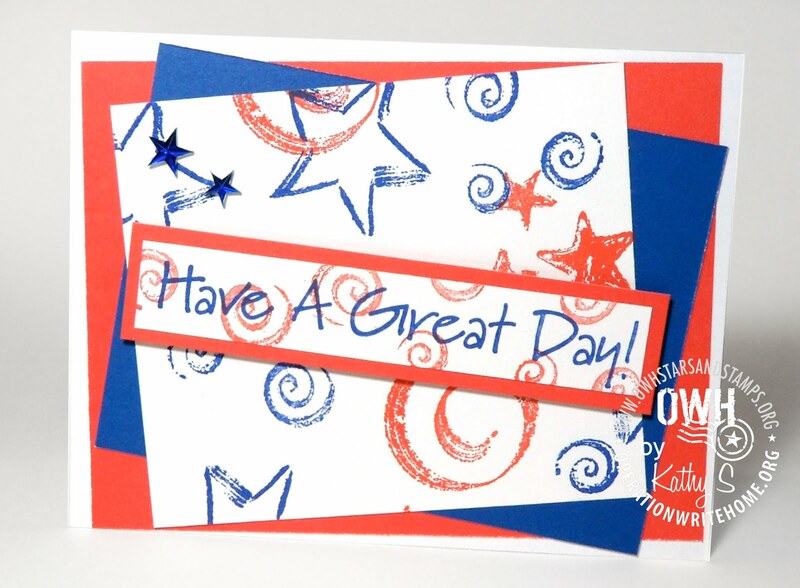 And, in my opinion, I've been making some great cards with my on-hand supplies! Thank you so much for sharing this...I wish you the best! Your cards are just beautiful,Kathy! Thank you for sharing your story. I am so hooked on the computer I can't imagine being without it. But I do love REAL mail, and that is part of why I love OWH. It helps make real mail happen on a grand scale. Fabulous cards and a great story Kathy! Have you ever thought about starting a blog? Between your cards and writing, I bet you would have lots of people reading it and following!